ok guys which one is easier according to you? i have a feeling there are more successful internet marketers out there in comparison with Binary/Forex traders. How can they be compared? I think neither is easy. Both are hard work. There's just no thing as easy money. Beckz, that is all too true. Both take work. My response to the question is from a different angle... in the binary world there are more marketers than real traders posting comments and strategies and what not. That's why forums such as this one is so important, so the real traders can form community and learn to recognize/repel the BS put forth by the marketers. As long as you don't promote scam brokers like Lbinary or other really doucheybagamus brokers that have purely stolen funds from newbies then you won't be considered a d-bag marketer by me... But gee funny enough I wonder who would promote such a broker? There are far more marketers out there than real traders. Simply put, marketing is easier, and there are plenty of people out there willing to buy get-rich-quick products that are total scams. And way to few people willing to put in the work it takes to become a successful trader... always out for the quick buck. 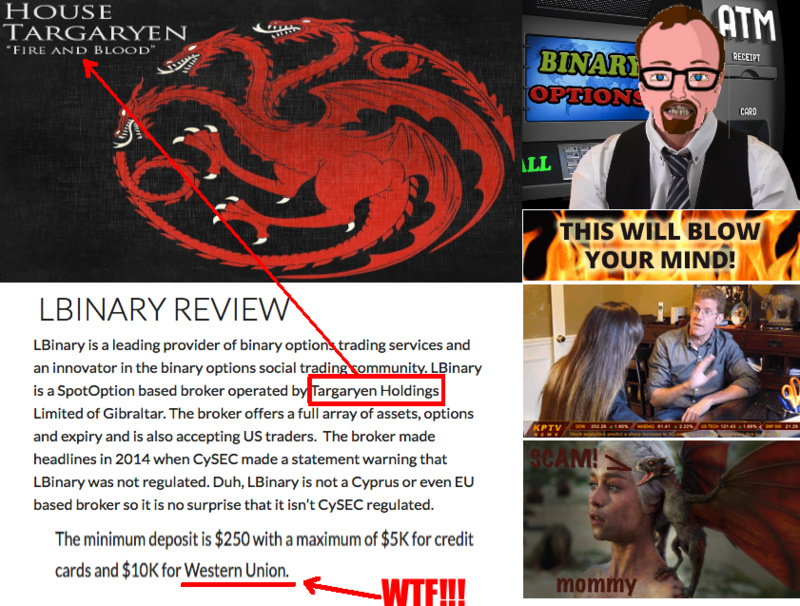 Do you get systems and brokers like this are the the problem and those of us who have even an ounce of respect for our fellow traders should never promote such ABSOLUTE TRASH! thanks for pointing out Lbinary and bdb, I forgot those were still up there, I haven't done anything with that site in a long long time. That's a great way of putting it. You hit the nail right on the head.